This book theorises Venezuela's Bolivarian Revolution as a counter- hegemonic globalisation project in which the construction of "21st century socialism" occurs simultaneously at the local, national, regional and global levels and scales through the Bolivarian Alliance for the Peoples of Our America - Peoples' Trade Agreement (ALBA- TCP). In these processes, the Venezuelan government's higher education for all strategy assumes a central role in the direct democratic and participatory democratic processes upon which the pluri-scalar construction of counter-hegemony depends. 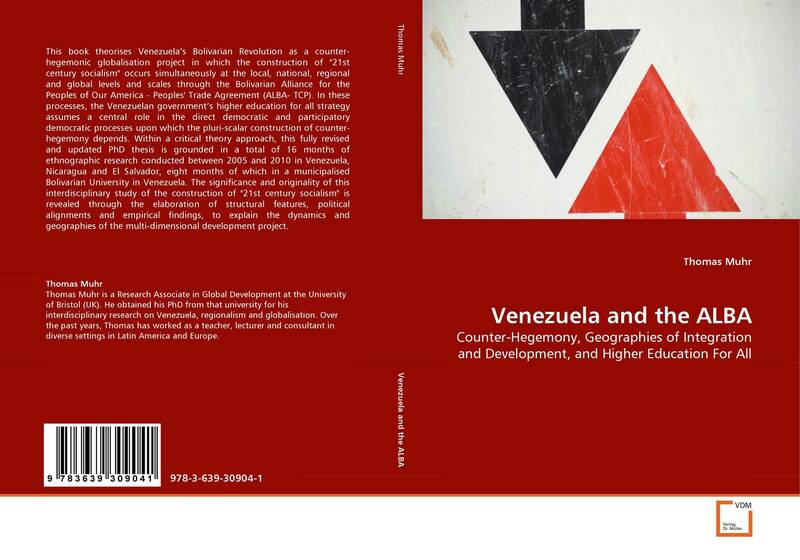 Within a critical theory approach, this fully revised and updated PhD thesis is grounded in a total of 16 months of ethnographic research conducted between 2005 and 2010 in Venezuela, Nicaragua and El Salvador, eight months of which in a municipalised Bolivarian University in Venezuela. The significance and originality of this interdisciplinary study of the construction of "21st century socialism" is revealed through the elaboration of structural features, political alignments and empirical findings, to explain the dynamics and geographies of the multi-dimensional development project.